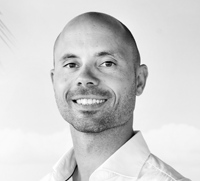 Some ten years ago, Jeremy Nijk came across the term ‘plastic soup’ for the first time. At the time he had no idea of the magnitude of the problem. Now he knows plastic waste products are polluting oceans everywhere. Each year a million birds die because of it. Sea lions get tangled up in it and fish eat it. And, as he was surfing off the coast of Bali, Jeremy himself experienced it: he emerged covered in the stuff. The Balinese haul tonnes of plastic waste out of the sea on a daily basis. Two metre high mountains of waste punctuate the coastline. The sight of them shocked Jeremy into action. 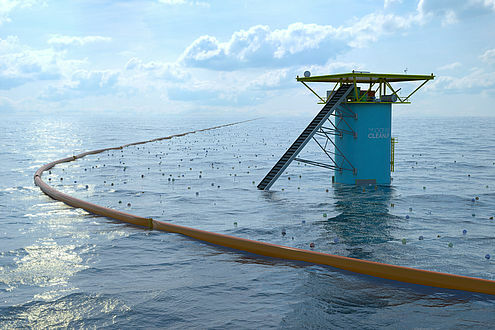 As a Special Projects Engineer at The Ocean Cleanup, Jeremy thinks of ways to keep the project’s unique sea waste disposal system in place. In his efforts to come up with affordable ways of making them work, he may well be found waist-deep in the waves of the white water feature of a public pool, testing away. For Jeremy the ideal job is about sustainability, room for initiative, and an inspiring team. At The Ocean Cleanup he found all three. Even as a little boy Jeremy wanted to find out how things worked. His favourite toy was Technic Lego. His love for research and construction eventually prompted him to take up both Aerospace Engineering and Architecture and the Built Environment at Delft University of Technology. Still uncertain about which direction to choose, he attended a lecture on soil mechanics and realised civil engineering was were his real interest lay. His motivation meant the hard work on his specialised subject of structural engineering came easy. When time came to graduate Jeremy started looking around for a project based in the Netherlands. He wrote to some twenty companies and within days received ten positive reactions: ‘That tells you something about the value of a TU Delft diploma.’ Jeremy eventually opted for the technical challenges of a project commissioned by KH Engineering in Schiedam. He subsequently found a job laying electricity cables in the ocean floor, first at Tideway and then at Visser & Smit Marine Contracting (VSMC).